Justin Walker is an Associate with the Central Florida Harbert team. He is actually pursuing a degree in both Finance and Real Estate at the University of Central Florida. 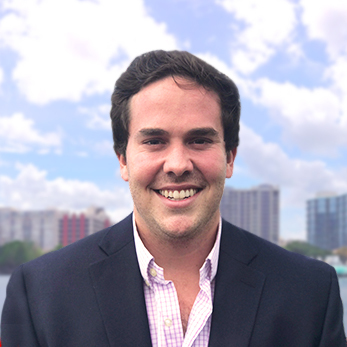 As a West Palm Beach native, Justin has been able to establish relationships all throughout Central and South Florida. During his time as a student, Justin has focused on increasing his knowledge in marketing, managing and finance within the commercial real estate industry. He has also played numerous roles in academic organizations such as the Young Investors Club and the Financial Management Association. Justin has dedicated countless hours to teaching youth sports programs in impoverished communities. After playing college baseball, Justin started Hitters Hit in his hometown of West Palm Beach, a non-profit organization providing an outlet for today’s youth. He now serves as the Community Services Chairman to his Greek Organization at the University of Central Florida, helping fund and support ongoing donation drives such as Knight-Thon, an event for the Arnold Palmer Hospital for Children.